When it comes to trends, trajectories and case studies, esteemed journalist, author and speaker Malcolm Gladwell doesn’t just have his finger on the pulse, he seems to peer into a crystal ball. 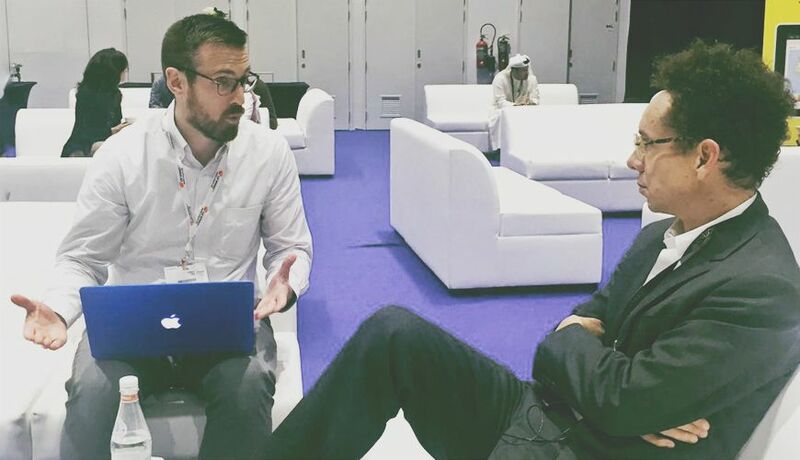 The New York Times bestselling author was in Dubai for the recent HR Summit And Expo 2016 where he outlined some of the greatest challenges and opportunities facing human resource specialists. Reluctant “millennial” Steven Bond spoke to Malcolm at the sidelines of the summit to dig into some of the keynote speaker’s topics. Steven Bond: One of the topics you discussed in your keynote was the distinct difference in the way millennials think and behave. Can you unpack some of the motivation factors for this demographic versus (middle-aged) baby boomers? How can employers instill passion in the workplace for younger professionals? Malcolm Gladwell: I talked a little about the strong values and connectedness of millennials, as opposed to individuation, and I think it’s really important that what an organisation stands for needs to be transparent. My generation’s approach to an organisation is “what can I get out of it” but millennials will ask, “what am I associating myself with?” That’s not a question I’ve really ever asked, I’ve just been a what’s-in-it-for-me type of person. These are entirely different motivations – it’s not a trivial difference. SB: Do you think that particular trend of discerning value will continue to be prevalent, or will we soon see a limit of how far it will continue? MG: These things are totally unpredictable and we really have no clue about where they come from and when they’ll go. It’s useful to see each generation’s paradigm shift as a reaction from the previous generation, but note that millennials don’t reject the baby boomers’ emphasis on individuality, they object to something that baby boomers really weren’t thinking much about; hierarchy. Millennials aren’t intentionally responding to the most salient aspects of their predecessors, it’s just about reshuffling the variables so that they make sense to you. SB: You’ve discussed the immense challenge of hiring for roles with quite abstract (or not necessarily academic) skill-sets — the great example being teachers, who need to be savvy in a classroom environment. Can you elaborate on how we can make “difficult and brave” decisions in the hiring process? MG: Most of those brave choices are to do with experimentation. That’s to say, you’re admitting you don’t know what “doing well” at the job quite consists of. That can be complicated, so as a result you surrender and you don’t pretend you know otherwise, and you conduct experiments; try people out, see what works and whether they like it. I’d like to see workplaces that are far more tolerant of short-term experimentation. I think it’s fine at various points in your life to try on a bunch of different jobs for size — I don’t understand why that’s somehow considered shameful. SB: You’ve told us to consider how an institution will affect a new hire — rather than just consider how that new hire will benefit the institution. Does this also lend itself to a pragmatic, tinkering-style approach? MG: Yeah, I think it does. There’s that idea that humility ought to drive the job of a professional — and you need to clarify the things you really do know. You muddy the waters when you mix up things you’re certain about with things you’re less certain about. For example, you might have a good idea of what makes a great principal but you don’t for a teacher. That’s incredibly useful, so devote your time on good candidates for the role of principal and allow them to create the right environment in the school; the idea is to zero in on and distinguish your certainties and your uncertainties. SB: On a slightly different note, you’re obviously spending more time on your hugely successful podcast, Revisionist History. Now, as a broadcaster as well as a writer, does a focus on audio correlate with millennials’ shortened attention span? And is this something we can learn from in terms of corporate communications, seeking out alternative approaches? MG: Well it is true that the consumption habits of millennials are very different. If you want to reach them, you can reach them through their ears. Many of the people who listen to my podcast did not read my books, so either I can keep writing books and slowly lose my audience or I can meet them where they are. And I don’t understand the people who decry that shift in consumption habits — there’s not something morally loaded about it, it’s just the way the world is. I also changed my consumption habits from my parents’ generation. That’s called life. If you want to be relevant you meet a man where he lies.